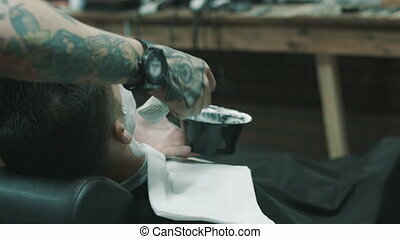 Barber putting some shaving cream on a client. Shaving the beard. 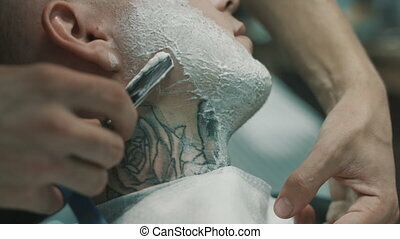 barber putting some shaving cream on a client before shaving his beard in a barber shop. close-up. 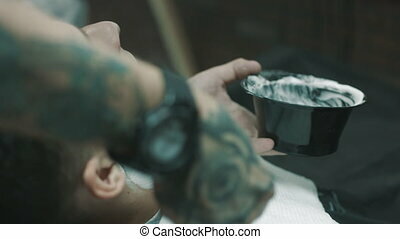 Barber Putting Some Shaving Cream On A Client. Shaving the beard. 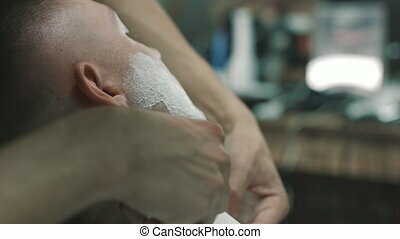 Barber putting some shaving cream on a client before shaving his beard in a barber shop. Close-up. 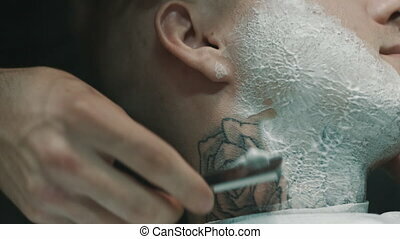 Shaving the beard. 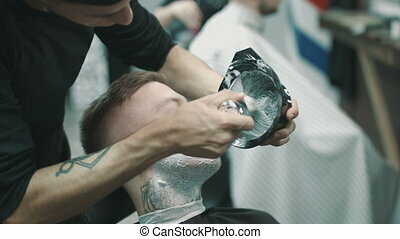 Barber putting some shaving cream on a client before shaving his beard in a barber shop. Rear view. 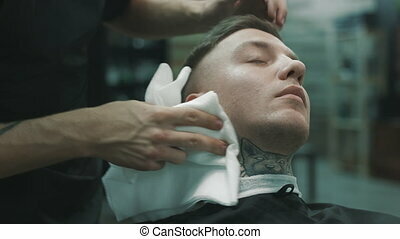 Barber wipes off with a napkin the face of the client after shave in a barbershop. Close-up. 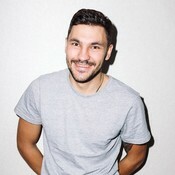 Shaves the beard. The Barber shaves the beard of a customer at the Barber shop. 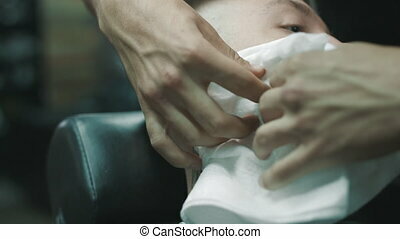 The man and the Barber hands with straight razor shaving beard Barber shop. Close-up.